The rapper has reportedly paid nearly half of what he owes jeweller, Jason of Beverly Hills, according to TMZ. 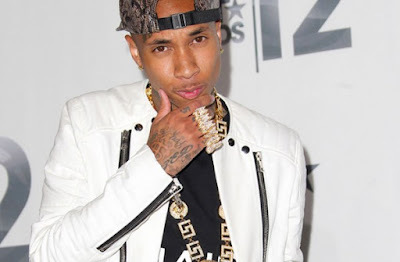 Last month, the jeweller’s lawyers questioned Tyga about his assets and the lavish gifts he gives his girlfriend Kylie Jenner. According to reports, the rapper became ill in the courtroom after those questions came up. The judgement was set to resume yesterday. T-Raww’s reality star, model and mogul girlfriend Kylie was even summoned to speak on their finances on November 1. However, she didn’t have to come in after all. Instead, Tyga’s lawyer appeared in court on Tuesday to say that the Kingin’ star will be paying off his debt by November 17. To start, he has already paid $100,000 of the $200,000 plus interest he owes.